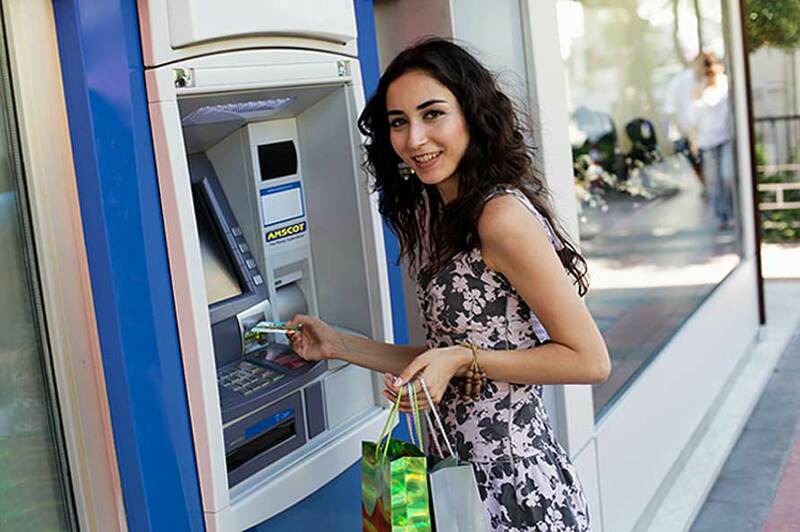 Convenient ATM access … and lower ATM fees. You’ll find an ATM machine conveniently located in the lobby of any Amscot location you visit. Available 365 days a year, you can withdraw cash in $20 increments up to $600. It’s important to us that our customers feel safe and secure. That’s why every Amscot branch is clean and brightly lit. What’s more, we believe access to your money shouldn’t cost a premium so Amscot charges a $2 withdrawal fee – less than many other bank ATMs charge.